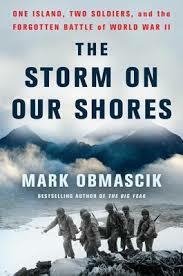 The heart-wrenching but ultimately redemptive story of two World War II soldiers – a Japanese surgeon and an American sergeant – during a brutal Alaskan battle in which the sergeant discovers the medic’s revelatory and fascinating diary that changed our war-torn society’s perceptions of Japan. Every year on January 1, a quirky crowd of adventurers storms out across North America for a spectacularly competitive event called a Big Year – a grand, grueling expensive, and occasionally vicious, “extreme” 365-day marathon of birdwatching. 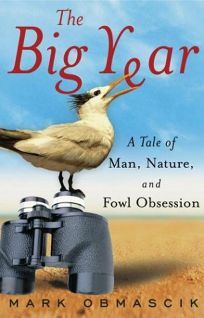 A birding classic, The Big Year is the true story that became the 2011 fictionalized film starring Jack Black, Steve Martin, and Owen Wilson. Fat, forty-four, father of three sons, and facing a vasectomy, Mark Obmascik would never have guessed that his next move would be up a 14,000-foot mountain. But when his twelve-year-old son gets bitten by the climbing bug at summer camp, Obmascik can’t resist the opportunity for some high-altitude father-son bonding by hiking a peak together. 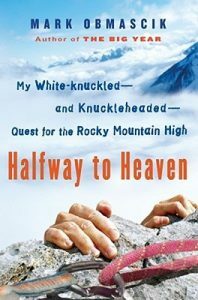 After their first joint climb, addled by thin air, Obmascik decides to keep his head in the clouds and try scaling all 54 of Colorado’s 14,000-foot mountains, known as Fourteeners – and to do them in less than one year.